Ant bakes fresh bread every day so we knew who would be making our entry to #GBBOBloggersBakeOfTheWeek this week! 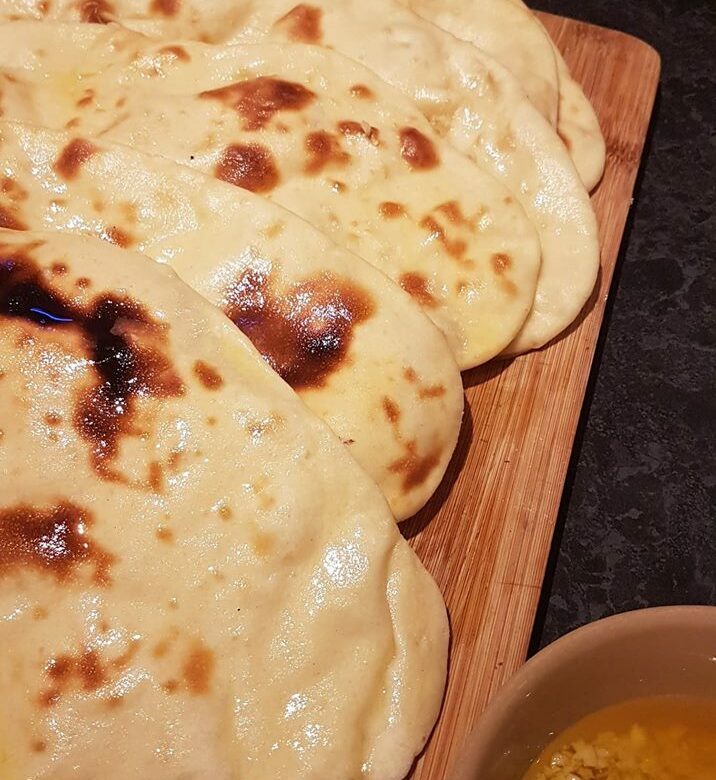 He chose to make Naan because he’d never made it before and he likes trying new things. He used the recipe on the Great British Bake Off website and I have to say, they were absolutely delicious. KayCee and Ella both took some for their lunch at school and have asked for more for tomorrow! I only had a small taste because they were certainly not Slimming World friendly! Oh I would love to try these, going to give them a go next time I have curry on the menu … thanks for sharing. The naan looks great! Well done! I will have to try making it too, because I do like naan.